This project was started when the snow was still white on the mountains in August 2011. 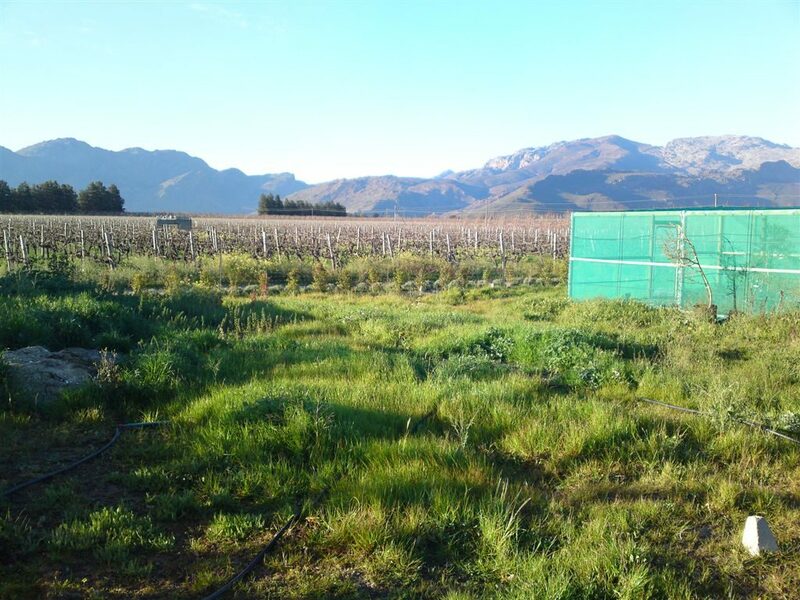 The main purpose of this garden is to provide the bulk of the ingredients for Italian cooking courses at Picardi Place near Rawsonville in the Western Cape. 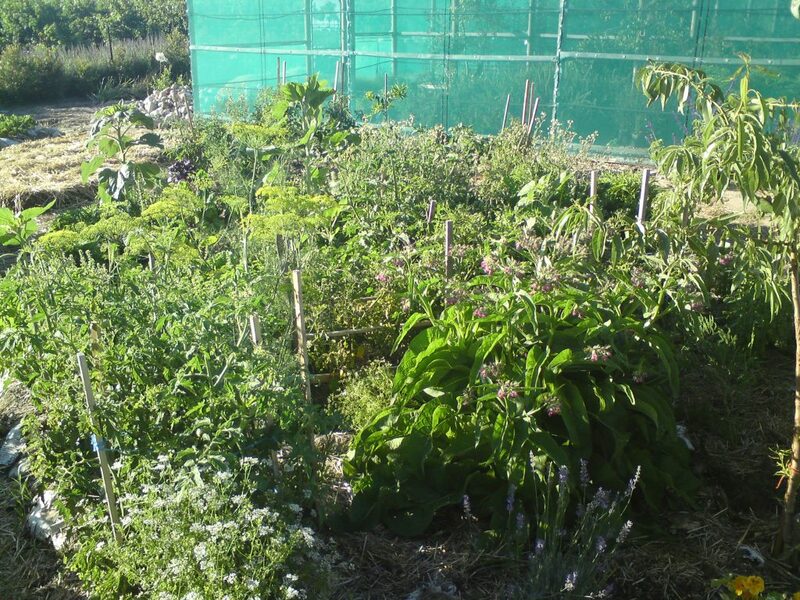 Because of the need for Italian herbs and lots of tomatoes we decided to devote a lot of space to perennial beds. There are also the chicken tractor beds. 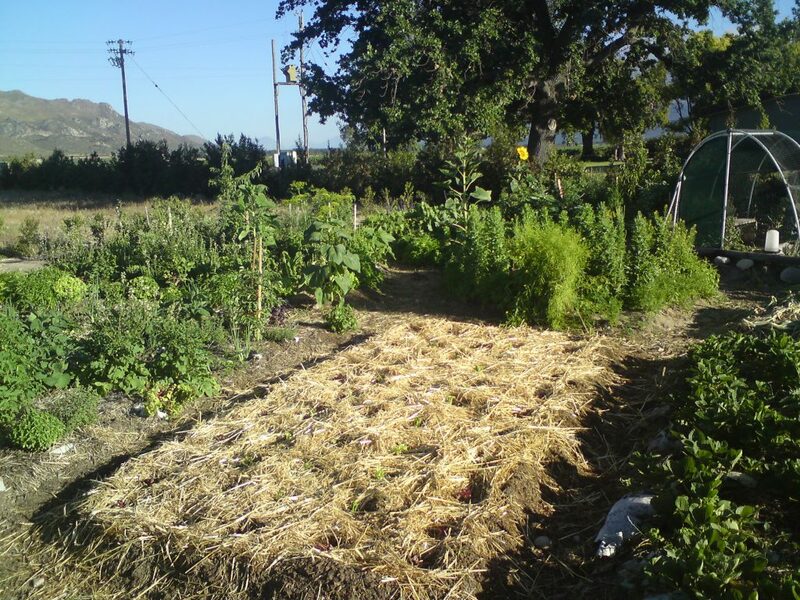 Provided with the right materials the chickens prepare the beds for planting. From the picture above to the lush productive system below in only 3 months!